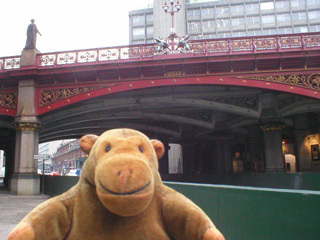 "They sat it's a viaduct, but it looks like a bridge to me"
Mr Monkey trotted down Charterhouse until he got to Farringdon Road, where he was attracted by the Holborn Viaduct. 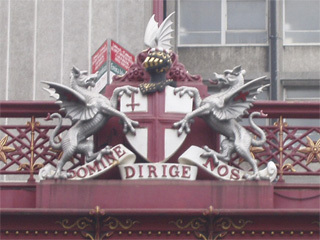 This was built in 1869 so that people could get from Holborn to Newgate Street without going down a very steep hill. 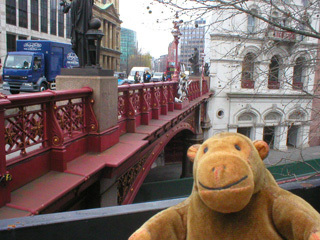 After admiring the viaduct from the lower road, Mr Monkey scampered up a staircase in the white building and looked at the statues on the bridge. 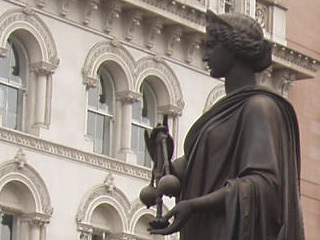 These represent Commerce, Agriculture, Fine Art and Science. He was most interested in Science, because he doesn't often see a woman holding the governor from a steam engine while standing on a bridge.